Still using old equipment? Think it’s too costly to upgrade? Don’t see the need to if it’s still working? Here’s a bit of information as to why you should keep your IT equipment up to date. Some businesses believe it is more affordable to carry on using their old devices. However, using outdated technology can actually be more of a burden on your company’s finances than it would be to invest in new devices. It’s well known that older technology is slower but after years of use slow devices could cost you working hours and money. Using a slower PC means your employees can’t get as much work completed reducing productivity. Times this by 10 users and you’re looking at a huge amount of time lost. A survey of 1,000 office workers revealed that potentially a total of 7.5 million working days each week were being wasted as a direct result of inadequate technology provided by their employer. So as well as being slow, older PCs are a lot less secure than up to date newer PCs. PCs over 3 years old are nearly 30% more vulnerable to viruses and laptops of this age are nearly 60% more vulnerable. Older machines and operating systems may not match the requirements for newer software leaving them more open to viruses. This could cost your business in repairs and down time. It has also been revealed that 40% of cyber-attacks are from people exploiting vulnerabilities on older systems that had been patched 2-4 years ago on newer devices. Older and smaller monitors are not only a strain on your eyes but can reduce productivity compared to modern alternatives. Newer monitors are not only bigger but also have a much more HD display making everything a lot clearer. The size allows you to have 2 windows open side by side making it easier to copy work from one place to another and multitask. This saves time on switching between windows and improves productivity for a relatively small cost of a new monitor. It may seem that keeping your older technology is saving you money, instead of investing in your company’s IT. However, when everything is put into perspective it works out cheaper to buy newer PCs. 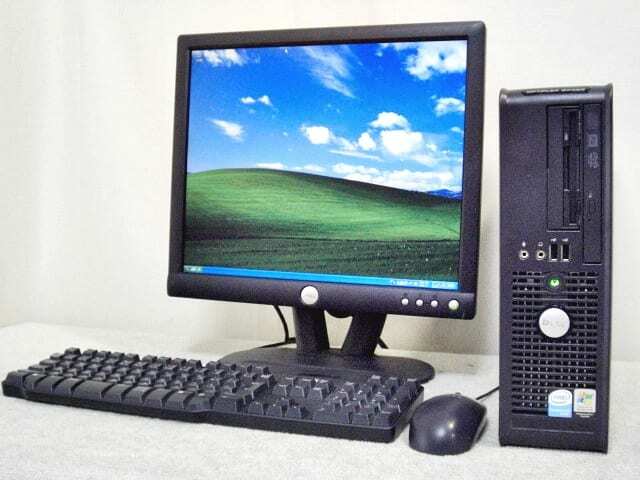 Older PCs cost you in productivity, customer opinions and security. If you spend 5 hours fixing a PC, It can cost around £250 every year. Times this by 10 employees and it could cost you over £2,500 a year repairing your outdated technology. You can create an upgrade plan for your PC to make sure your PCs are never older than a certain age. For example, in an office of 10 people you can upgrade 2 PCs a year ensuring that no PC is over 5 years old. If you feel like your computer systems are outdated, feel free to contact us and we will help you upgrade.